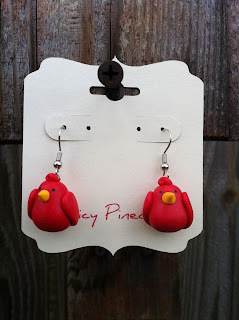 Spicy Pinecone: Spring/Easter Chick Earrings! 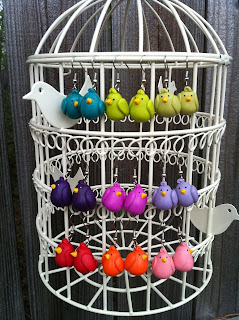 After making the "Spring Chicks with Mama Hen", I had so much fun that I wanted an excuse to make a few more chicks. 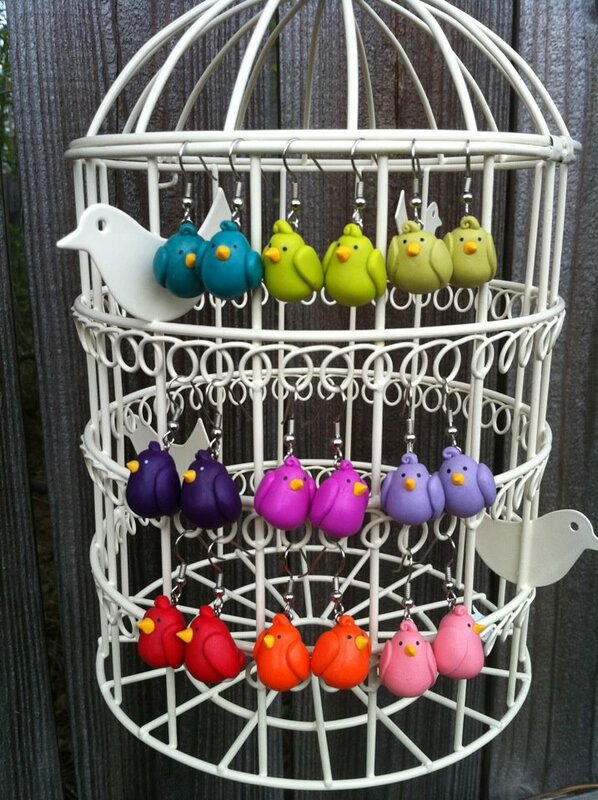 I got to pull out a bunch of different clay colors and just wallow in chick-making for a while. Yay! Making them was an interesting process.... mainly because I had to keep my four and two year old from eating the not-yet-embellished bodies. I guess they really look like jelly beans at first. Just too tempting for little eyes and little fingers can't help but reach for them. Fortunately, none were eaten. They are so cute. Are they heavy? Crochet Octopus and New Baby Blankets.